Chimney Pop Pop Boat. Yellow & Black. 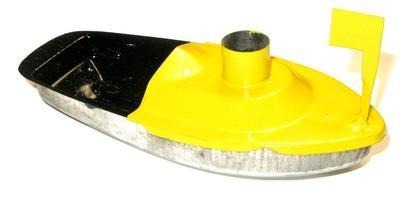 Pop Pop Chimney Boat - Yellow & Black. Smoke from the candle flows out of the chimney when running. Will also run on olive oil - instructions included.